“Only boring women have clean houses.” Well, that’s what I tell myself. Actually, I don’t really tell myself that, but it is on a fridge magnet. So there must be others out there that may be a little defensive about shirking housework. And notice that the slogan says “women” not “people”. which tells us that housework is still considered to be primarily “women’s work”. To all the people out there with clean and tidy houses; I don’t think you are boring. I am actually in awe of you and I respect your diligence and your choice to make the time for dust-free surfaces, grime-free tiles, lemon-scented freshness and general sparkle and shine. But it is not for me. An article by journalist and author of The Wife Drought Annabel Crabb appeared on the Australian Women’s Weekly website earlier this month (May 7) about how she also does not prioritise housework, and that mess doesn’t bother her. It got me thinking about the history of my own aversion to scrubbing and sorting. I have always been encouraged/nagged/shamed to do more housework, by everyone I have ever lived with. I am perplexed as to how my standards seem to be so much lower than everyone else’s. I remember as a young adult living at home, cleaning the bathroom only after my mother chastised me for not (ok, never) doing it. I would call her in to examine my work after what felt like hours of elbow-grease, and she would squint and say, “Mmmmm… I can’t see any difference”, which funnily enough is what she always says to me after I get my hair cut. 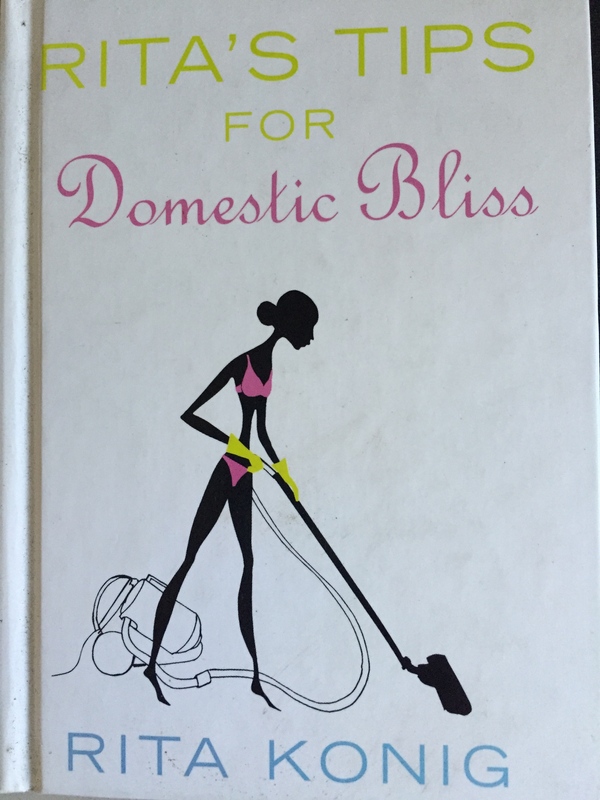 When I moved in with my friend Lulu in my twenties, a housework roster was never discussed. Basic jobs like food preparation and washing up were shared equally and naturally. It was the vacuuming and cleaning of the bathroom that just never occurred to me. If I can’t see dirt, then the possibility of it being there just doesn’t enter my mind. Why go looking for trouble? But maybe I couldn’t see the dirt because Lulu got to it first, when I wasn’t home. Blissful weeks would go by where it would seem to me that our only problems were a plague of German cockroaches, Stefan, our overly talkative flatmate (who was German, coincidentally) and our Septuagenarian Greek landlord who would regularly burst in unannounced, just like those cockroaches. Every time we turned on the kitchen light, the little bugs would scatter in all directions, getting tangled up in the pine needles that the pigeons would sometimes bring in (I’m exaggerating – there was only a pigeon in the kitchen that one time). The roaches were nothing to do with our kitchen-hygiene standards though. We always cleaned up after reheating our takeaway butter-chicken in the second-hand, brown, Brady Bunch-style microwave with the analogue dial (We were living in the post-digital 90s, but we cultivated a retro decorating aesthetic cos it was cheaper). Maybe the roaches were more to do with the fact that we lived in an old flat above a Spanish restaurant in dirty Bondi. A strange odour reminiscent of stale cheesy tortillas would waft up from the side path of the restaurant downstairs. The roaches, clearly, were not our fault. We dealt with them by bringing in an exterminator. I felt bad that I’d let her down. I agreed I would do my share. But I wasn’t very good at it. I did however, regularly remove the discarded anti-snoring nasal strips that her then-boyfriend (who didn’t actually live with us) would regularly leave in the soap dish in the shower. “That’s because I water them whenever you’re not here.” one of my work colleagues drily replied. See? People with high standards deny people with low standards the chance to do things for themselves. When I first moved to Canberra, before I got engaged to my ex-husband, I moved into a flat with two girls from a share accommodation ad, Tina and Gina. Their rural New South Wales upbringing and Italian family backgrounds influenced their exceptional cooking ability. Either of them could’ve easily won Masterchef, had it existed at the time, especially Gina, an apprentice chef. They were also both committed to regular and fastidious housework. There was a routine; they informed me of this routine when I moved in. I agreed to it. But I resented every second of my allocated housework tasks. How I hated those shiny fake wood floors. How I hated polishing the gleaming kitchen cupboard handles. But I did it because it was on Tina’s List. The List. But I slackened off. Some Saturdays I just wouldn’t do it. Or I’d do half of it. Or I’d do it, but I’d be a bit slap dash. Passive- aggressive might just be my middle name. One day, Tina (the boss) called me on it. Gina had a serious look on her face and was nodding earnestly in agreement. I realised Tina and Gina were staging a housework intervention. Phrases like “shoddy work” and “not trying”, and “more effort” were being thrown around. These girls had exacting standards. They were tough. And while we were on the subject of domesticity, Tina and Gina also thought my “cooking” was horrifying. They couldn’t believe my penchant for regular dinners of frozen crumbed fish fillets from a box, and pre-prepared chicken kebabs from Lenard’s Chicken. I defended my culinary choices. They wondered how my poor almost-finance would deal with my unimaginative and narrow cooking repertoire once we were married. I defended my choice even more. Tina was not happy. “Do you mean to tell me that when you have kids you’re going to feed them fish-in-a-box and chicken-on-a-stick? ?”, she asked, incredulous. “Yep” I answered. I genuinely could not see the problem with this, and still don’t; it’s not as if chicken-on-a-stick is “chicken sticks”, they are two entirely different things. As it is, Spider Boy eats PLENTY of chicken nuggets (protein is protein). Tina and Gina should be so lucky if my kid were to eat chicken-on-a-stick. We are currently working our way up the chicken-foods ladder now, from nuggets, to chicken tenders from a box. We should be on fresh chicken breast any day now. Spider Boy’s always been a fussy eater. Please don’t dob me into Jamie Oliver just yet; I’m getting there. But back to the great housework intervention of 2004. “It’s all right for you, Tina, you like doing housework!” I accused her. “There’s just so many other things I’d rather be doing, its just not important to me!” I declared. Reading a book?! I’d show her a “book.” As I happened to be visiting Sydney the next day, I stormed into the Ariel book store in Oxford Street and purchased Rita’s Tips For Domestic Bliss by Rita Konig (since this was 2004, a time when blogs were weird and books still ruled). Rita’s Tips was a handy little guide telling me not only how to do housework, but how to turn housework into an art-form. Rita was going to tell me how to do housework better than Tina and Gina. What was Rita’s Tips trying to suggest? That housework counts as exercise? That if I regularly did the vacuuming, I too might develop a bikini-ready body? I devoured the book, only stopping to indulge in evil laughter; Mwahaha Mwahah, I’ll show them. But I didn’t end up showing them anything, as I was too busy reading about housework during the time I was supposed to be doing the housework. The only thing I showed them was the existence of low standards of domesticity that they couldn’t imagine existed. Yes, we had our ups and downs, Tina, Gina and I. But they showed me how to scale fresh fish caught on the NSW South Coast, how to cook it with fresh lemon and how to make risotto. I will always be grateful for that, even though I haven’t scaled a fish since. But I know I could do it if I wanted to. They were so happy when I got engaged. Probably because they knew it meant I’d be moving out soon. Maybe the people I have lived with were not the problem. Maybe I am the problem. I say I don’t see the dirt and dust that other people say is there. But I can see it if I really look, I just don’t want to look that hard. I skate over the surface. And then when I do see the dirt, it takes a lot of it to bother me. I guess I’m just lucky to have a really high tolerance for grime and mess. I can just tune it out. Not so lucky for people who live with me I suppose. My housework philosophy is, the more you do, the more you find to do, so best not to start, especially when there’s so many other more rewarding things to be done. In Annabel’s Women’s Weekly article, she explains that she embraces the mess because to her it is a symbol of all the other more joyful and productive things she is doing with her time. She says that of all the social changes that have happened in women’s lives over the past half-century, the one constant remains – women still do more housework than men (well, not me). Annabel writes that women can whine about men doing more, or just take the radical option of doing less yourself, which is the approach she has taken. As she and her partner both work full-time, Annabel reasons that there aren’t enough hours in the day to accommodate two working lives and all the time they need to spend with their children. And if it comes down to a choice between tidying the living room and making gingerbread with the children, then in my view there is no contest. Consequently, my house is what it is. She states that one of the main reason for discord over housework is the asymmetric standards men and women often have about what constitutes clean. Annabel writes of one party thinking that a kitchen bench is clean “if it’s been given an optimistic swipe with a dingy Chux. The other, meanwhile, might be incapable of sleep until it’s been fully cleared and disinfected. My ex-husband had much higher standards than me in the housework arena. As did my ex-boyfriend before him. My ex-husband and I got around the issue by hiring a cleaner every so often, but it was still an issue. Why would I think about dusting and scrubbing surfaces – only for them to get dirty again – when I could it be spending that time with my child or doing something else constructive? It’s not that I mean to never clean the bathroom/mop the kitchen floor/vacuum, it’s just that I tend to say, “I’ll do that later, right now there are more pressing issues”. And besides, dusting always aggravates my allergies. It’s like prodding a sleeping dragon. Does she have a face full of dust or is she multi-tasking with a mud mask? Note Rita is telling us to “dust the hidden areas.” They’re HIDDEN, so WHY? Yes I know, supposedly the dirt builds up. I know there comes a time when that black grime has to be cleaned away from the bottom of the shower screen, as apparently, it’s “unhealthy”. From time to time, I will do the cleaning, the bare minimum. But don’t expect it to sparkle. I think sparkle should be reserved for one’s teeth and the glitter on craft projects, not my household surfaces. I don’t like the idea of those harsh chemical cleaners. One day I might even get around to investigating bi-carb soda/lemon/vinegar/vanilla. Or perhaps I could utilise a no-sugar/no-gluten/no-dairy/no-chocolate/brownie (I mean really, what is the point) as a scrubbing brush. There must be another use for this proliferation of “clean foods”, other than actually eating them. Who am I kidding, gluten-free means my make-shift scrubbing brush would fall apart in my hands, so I can’t even use so-called clean “treats” to clean with! I also don’t like the way household cleaning manufacturers make TV ads where women assert things like, “When your floors are clean, it’s a healthy environment.” Are these paid actors? It irritates me that such companies try to manipulate women into buying their products out of fear and guilt. When Spider Boy was a toddler, our GP in Canberra told me to let him “go out and play in a big pile of dirt” to build up his immune system. This doctor pointed out that the human immune system has evolved over years of humankind living in very dirty conditions. Admittedly my GP always looked like he was just on his way out for a bush-walk, with his knee-high socks, shorts and post-Ned Kelly, pre-hipster beard (who knows what nasties lurked in that), but I think he was onto something. There is also a difference between clean and tidy. Tidiness is not important. it’s a personal aesthetic. Cleanliness is somewhat more important, but there has to be a happy medium. I will not be fastidious about the cleanliness of household surfaces, unless you’re going to eat off them . Do we eat food off the kitchen bench, or the floor? No. Hence I’m not getting out a new Chux super-wipe three times a day and spraying chemical Pine O Cleen (or however they spell it) everywhere. But we do eat off plates. Hence, I am very good at washing up. I wash up by hand every time, with detergent, because when it comes to dishes, humans do it better. I am also very conscientious about hand-washing, especially when ill. Spilt milk gets cleaned up within minutes. Sometimes within 30 minutes. I do have some standards. Washing up can be quite therapeutic, even for me. I love that Annabel Crabb told the Women’s Weekly they were welcome to come round to her house and take photos of her family, but that she wouldn’t be tidying up first. Posing in an artificially tidied home, pretending we’re a relentlessly ordered family, would be a fib. Our house is messy. 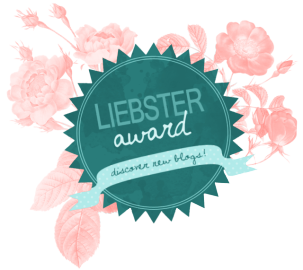 Messy is what it is, Annabel writes. It was thus that her family found themselves in a photographic studio for the article’s accompanying photos. I love that she thinks that her time is better spent making gingerbread men with her kids than cleaning the floor – a floor that’s only going to get dirty again tomorrow. Why be like Sisyphus, the figure in Greek mythology whose punishment by the gods was to push a giant boulder up a hill every freakin’ day, only to have it roll back down the hill again? Like “nothing naughty” muffins, or maths, I just don’t see the point. Why be a slave to non-existent perfection, while the clock marches on and you’ve lost another opportunity for time spent with the people you love? Do you enjoy cleaning or do you find it a chore? Can you only relax when everything’s clean and tidy? 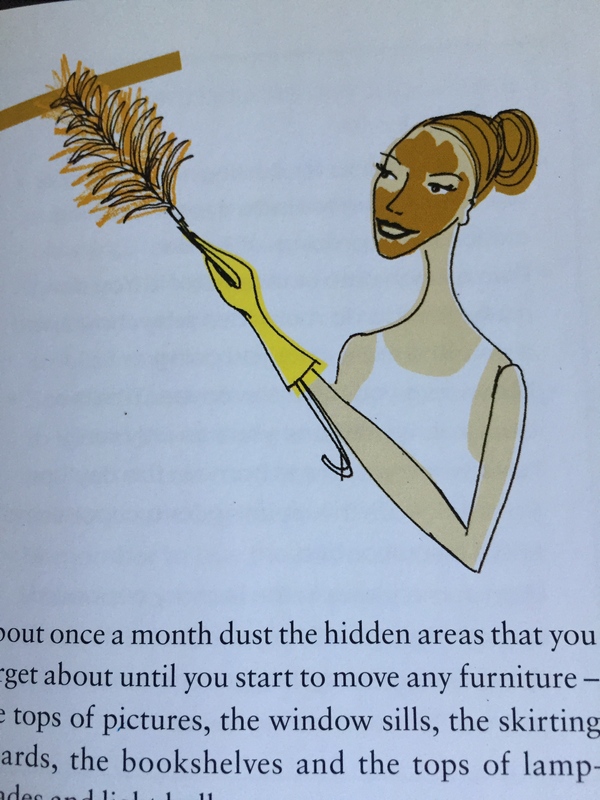 Do you have any quick housework hacks for me? 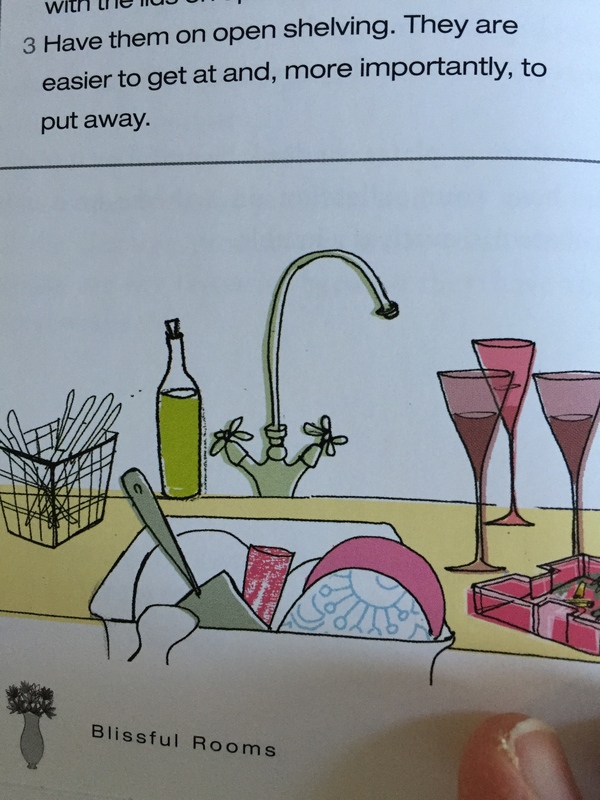 Illustrations by Sam Wilson from Rita’s Tips for Domestic Bliss by Rita Konig (2003) Ebury Press, London. ← The trek to Tuggeranong. Or long day’s journey into night. I hate cleaning with a passion. Oh for the days when I lived in a two-income family and used the excuse of a child with eczema to have a cleaner come weekly. Sigh. I don’t enjoy cleaning but I seriously love the feeling of a clean house! It immeddiately puts me in a good mood! At the moment I’m going with the whole “doing it all the time so it doesn’t build into a big job” thing and it seems to be working. It also helps that the boyfriend is very willing to do whatever (even more than his share when I’m having a case of the “can’t-be-bothered”s). Yes, I think you could be onto something with the doing it as you go thing. Little and often. A stitch in time saves nine. I should find some fridge magnets that say that!